Welcome to Tietz Taxidermy and Wildlife Art. Taxidermy, Art and Photography have long been passions of mine. My training as a Commercial Artist and over 28 years of Graphic Design experience has taught me the finer points of design, color, and attention to detail that a lot of other taxidermist are lacking. Creating the best quailty and most pleasing mount possible is what I strive for. I offer a wide variety of taxidermy services. Game heads, fish (skin mounts and reproductions), birds, mammals, antlers, skull cleaning and rugs, I do them all. So if your next trophy is a simple antler panel or a life-size mount on a custom made base, I will turn it into something you will be proud to show off. Please take a few minutes to visit the gallery links on the left and feel free to contact me with any questions you may have about your next trophy mount. Information on how to contact me can be found under the Contact link on the left. 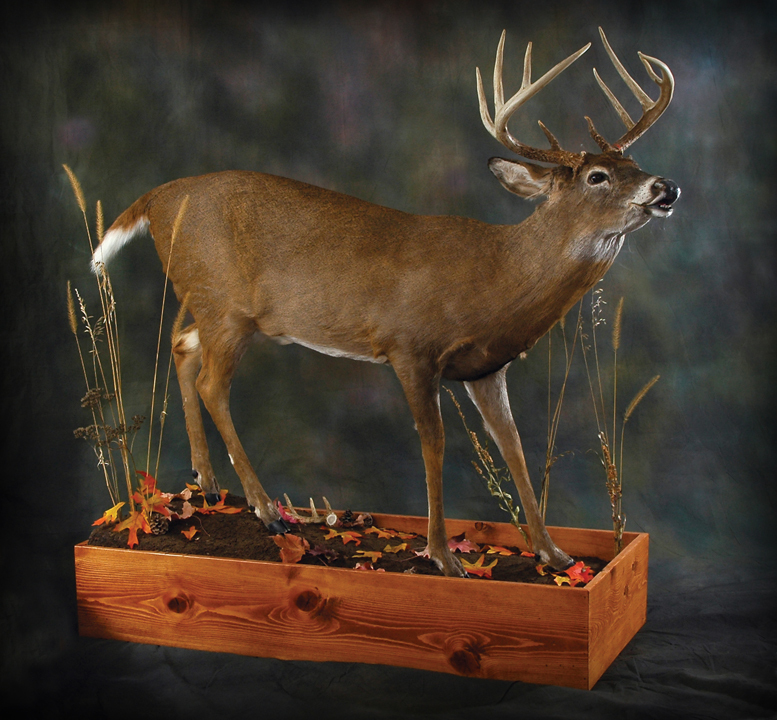 Tietz Taxidermy and Wildlife Art is located in Lebanon, Wisconsin, just a few miles north of Watertown, which is in Southern Dodge County. There's a map on the Contact Info page that will make it easy for you to find me. 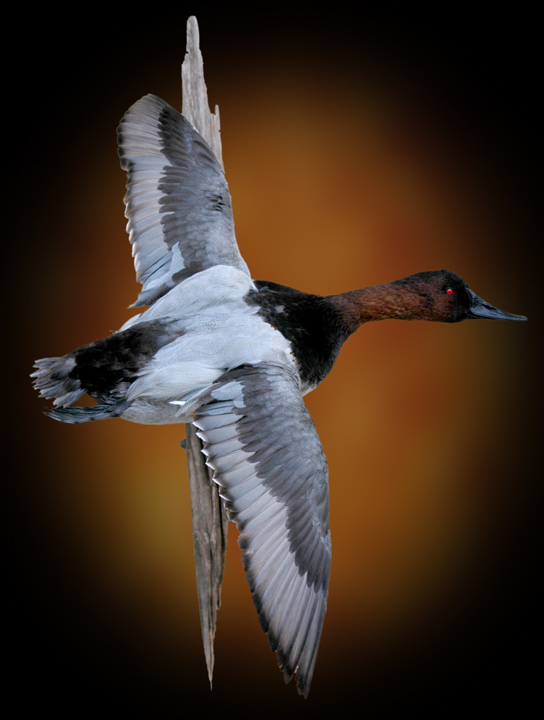 Trophies like this Bull Canvasback don't come around everyday, so when they do, be sure to give me a call ! For more information about getting your trophy mounted please call: (920) 925-3382 or Cell (920) 342-0517.